1. With preheating rollers. 2. 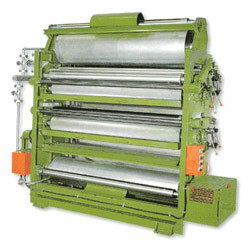 Up-down adjustment of pressure roller is controlled by pneumatic system. 3. The clearance between glue roller, ductor roller, glue roller, and pressure roller, is controlled by manual.